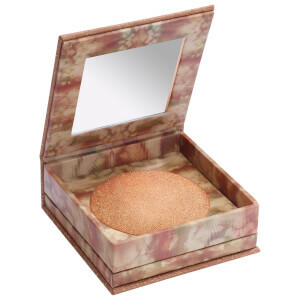 Achieve instant radiance with the Urban Decay Naked Illuminated Shimmering Powder, a product that uses light-reflecting particles to give skin a luminous glow. The unbelievably smooth, silky texture combines the colour vibrancy of a loose powder with the mess-free application of a pressed powder and adds a sophisticated, microfine shimmer. 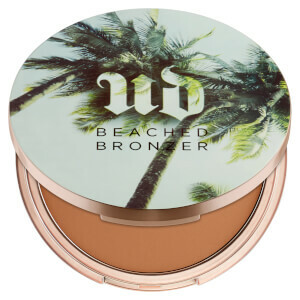 The warm bronzed tones are universally flattering and create the perfect finish for a subtly radiant complexion. Extenderlos en el rostro con la ayuda de una brocha o un aplicador de base. Eliminar el exceso de producto antes de aplicarlo. Talc, Zea Mays (Corn/Maïs) Starch, Hectorite, Ethylene/Acrylic Acid Copolymer, Silica, Octyldodecanol, Phenoxyethanol, Methylparaben, Propylparaben, Butylparaben, Tin Oxide. May Contain: CI77019 (Mica), CI 77891 (Titanium Dioxide), CI 77491/77492/77499 (Iron Oxides)].